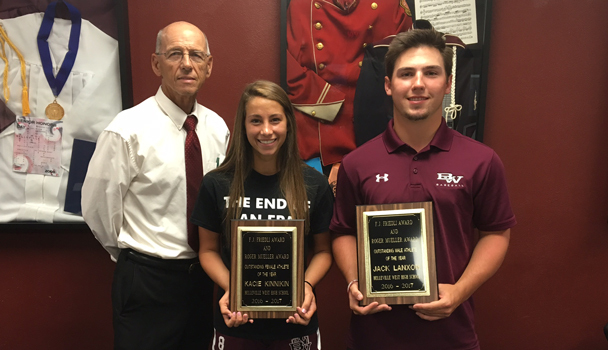 2016-17 Friedle/Mueller Outstanding Athlete Award Winners - Congrats Kacie Kinnikin & Jack Lanxon! The following athletes achieved a current grade point average of 3.75 or higher while being a member of a sport this season. To qualify for the Academic All-Conference team, athletes must be a junior or senior who was awarded First, Second, or Third Team All-Conference and have a cumulative GPA of 3.5 or higher.